Know what goes perfectly with a classic egg breakfast? Anything at all! We tried to make a ponycat once. With sticky tape. It didn’t go very well, and the scratch marks and hoof prints serve as a constant reminder to this very day. 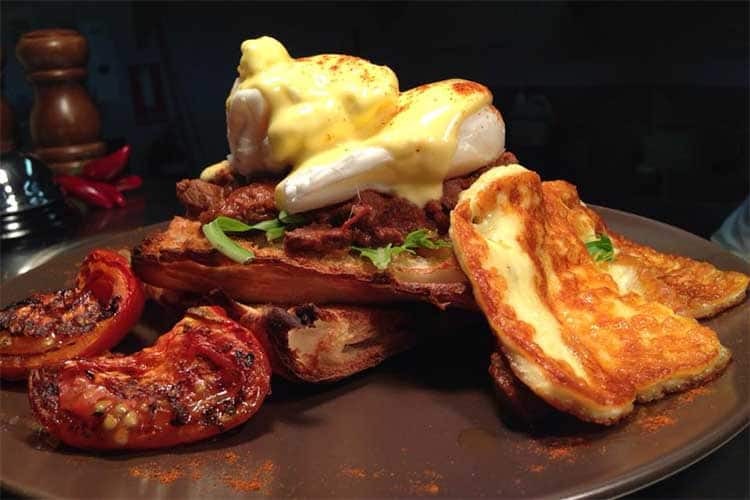 Fortunately, this particular Ponycat has been much more successful, and it’s New Farm’s go-to spot for some sumptuous brekkie or lunch. Courtyards make everything more enjoyable, and Lock ‘n’ Load has itself a doozie. 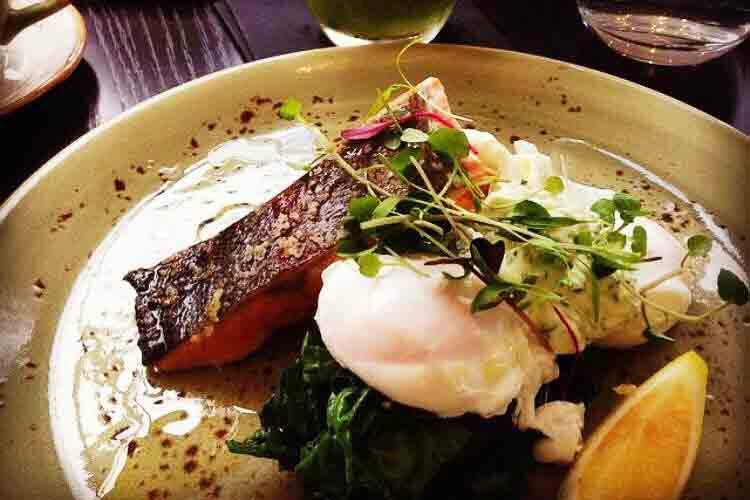 Nestled nicely in ever-popular West End, it’s a wonderful place for a wholesome breakfast, a refuelling lunch, a well-earned dinner, a round of celebratory drinks, or pretty much anything in between. All-day breakfast is always a welcome concept, and it’s even better with an exotic twist! Smoked Paprika takes the traditional flavours of Eastern Europe and mixes them into modern Aussie cuisine, and the results are head-burstingly splendid. Have you been to Smoked Paprika? Tell us what you think and write a review. Ooh, another courtyard! 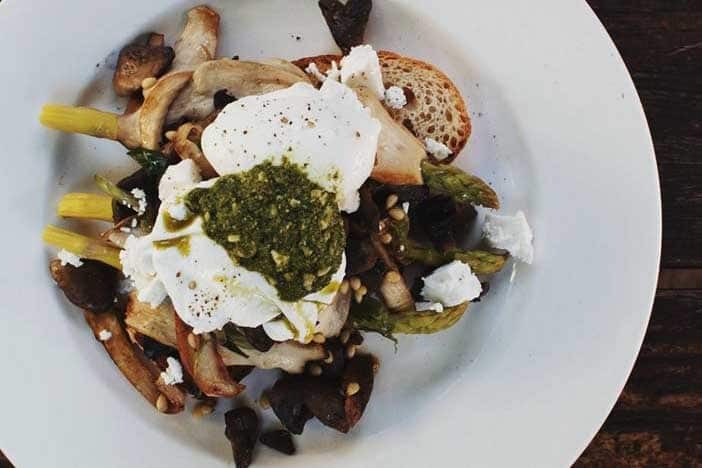 Sassafras Canteen is an eclectic little eatin’ house excelling in fresh, home-style food that’s a little different every day. The staff go all out to help you settle in comfortably from the moment you arrive, and you’ll be a very happy bunny indeed by the time you depart. 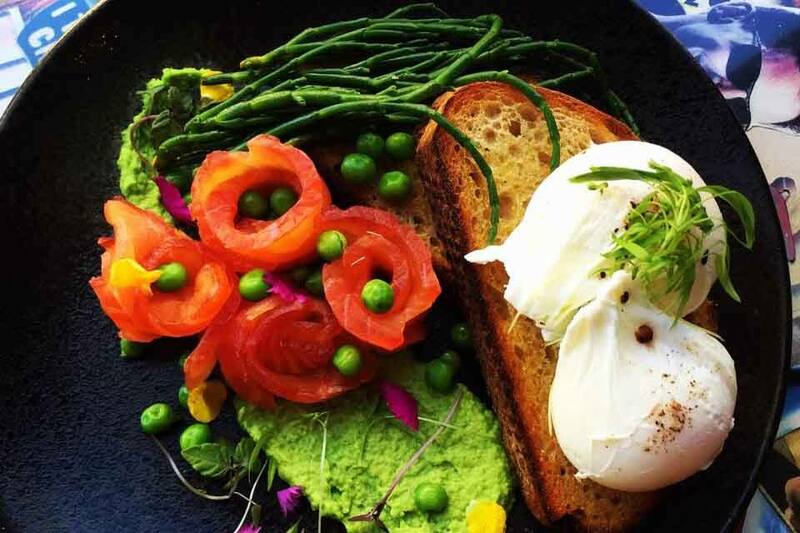 An elegantly beautiful restaurant, inspired by the graceful stylings of old-timey Massachusetts, Nantucket is certainly one of the swankier places you can go to gobble up a hearty plate of eggs. Settle in and succumb to the irresistible poshness. 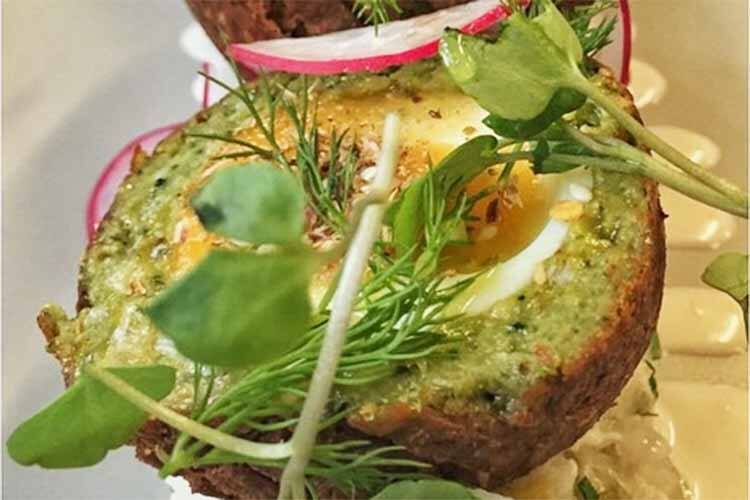 Have you been to Nantucket Kitchen & Bar? Tell us what you think and write a review. 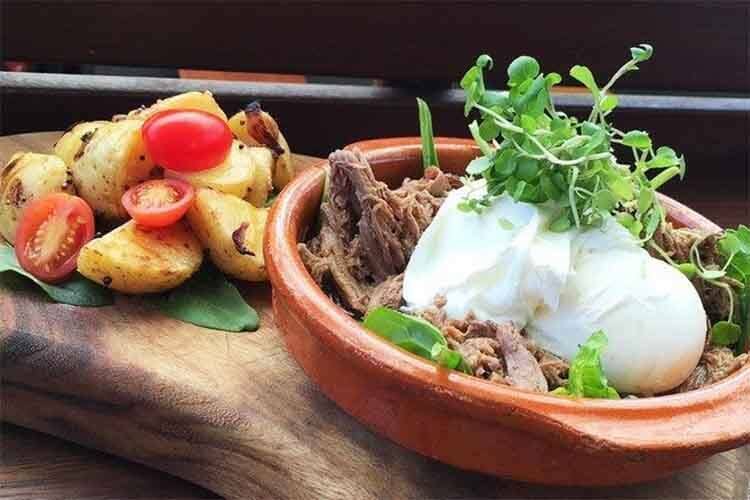 Shouk Cafe specialises in a gorgeous array of contemporary café-style dishes, heavily inspired by the vibrantly bustling market stalls of the Middle East. As you can probably guess, this makes for some damned interesting eggs!